We will conclude the night with a Gala Post Concert cocktail party in the Renaissance Room at the Carolina Theatre that will include live music, exquisite desserts, and libations. 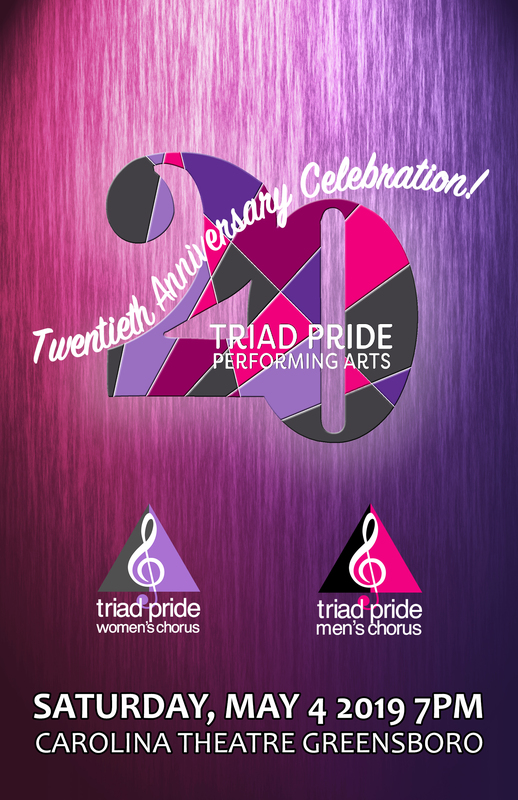 Triad Pride Performing Arts will commemorate the 50th anniversary of the Stonewall Uprising in NYC, as well as the 20th anniversary of the founding of TPMC along with special guests Common Woman Chorus of Durham and The Triangle Gay Men’s Chorus. We will begin the concert with a celebration of our 20th Anniversary! with a variety of song styles and production elements, featuring many favorites from past seasons. 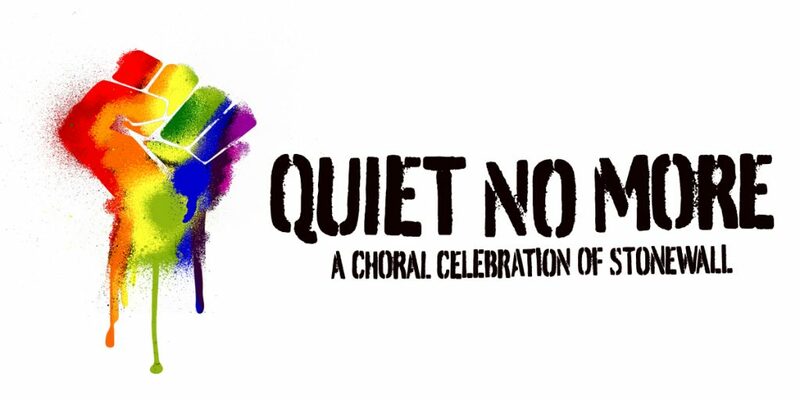 The second half of the concert features the NORTH CAROLINA PREMIERE of Quiet No More: A Choral Celebration of Stonewall 50. one of the LGBTQ+ community’s most pivotal historical moments—the protest that ignited a movement that we are all still a part of half a century later. This eight-movement work is co-commissioned by 24 LGBTQ+ choruses from across the U.S.and is the largest collaboration in the history of LGBTQ choruses. Quiet No More features the voices of diverse LGBTQ composers, including Julian Hornik (Dear Evan Hansen); Our Lady J (Pose, Transparent); Mike Shaieb (Through A Glass Darkly); Ann Hampton Callaway (singer/songwriter); Michael McElroy (Broadway Inspirational Voices, Rent); and Jane Ramseyer Miller (One Voice Chorus). The Choruses accept new singers in August and January, but anyone is welcome to drop by rehearsals at anytime to check things out. We can always use non-singing volunteers!. We welcome you at anytime as we are always looking for individuals who want to assist in production, fundraising, marketing, ticketing, rehearsal support and administrative support. Triad Pride Performing Arts consist of LGBTQ and their allies, who perform to entertain, enlighten, and enrich while promoting equality and social justice for all people regardless of sexual orientation or gender identity–fostering pride, understanding, and acceptance. This season is made possible in part by generous support from our sponsors. Click here to view all sponsors.